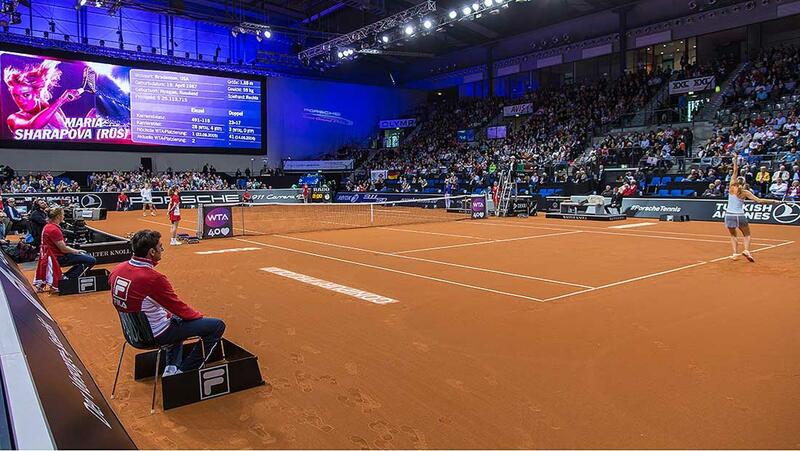 German qualifier Antonia Lottner scored the biggest win of her career when she upset top seed Belinda Bencic 7-5 6-2 after 1 hour and 26 minutes at the Samsung Open in Lugano. Lottner broke serve five games and won of the last ten games. 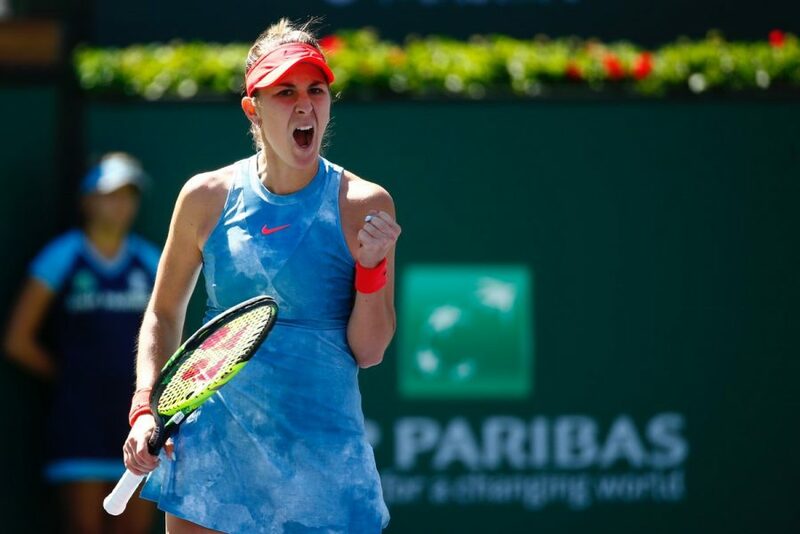 Bencic got an immediate break in the first game. Lottner broke back in the eighth game to draw level to 4-4. After three holds of serve Lottner converted her second break point chance on the third deuce to clinch the first set 7-5. Lottner went up a double break in the second and sixth games to race out to a 5-1 lead. Bencic pulled one of the two breaks back in the seventh game for 2-5 on her second break point chance. Lottner broke serve on her first match point in the eighth game to close out the second set 6-2. Polona Hercog pulled off the second upset of the day when she fought back from losing the first set to beat Carla Suarez Navarro 3-6 6-3 6-4. The first seven games of the first set went on serve. Suarez Navarro, who had won their three previous head-to-head matches without dropping a set, earned the only break in the eighth game to seal the first set after Hercog made her only double fault. Suarez Navarro faced the fourth break point of the first set, but she saved it with her first serve. Suarez Navarro dropped her serve at the start of the second set, but she broke straight back in the second game. Both players went on serve until the eighth game when Hercog converted her second break point chance. The Slovenian player served out the second game in the ninth game. Hercog broke serve at 15 in the first game of the third set. Suarez Navarro saved two match points, but Hercog converted her third chance with an ace to clinch her biggest win in 2019. 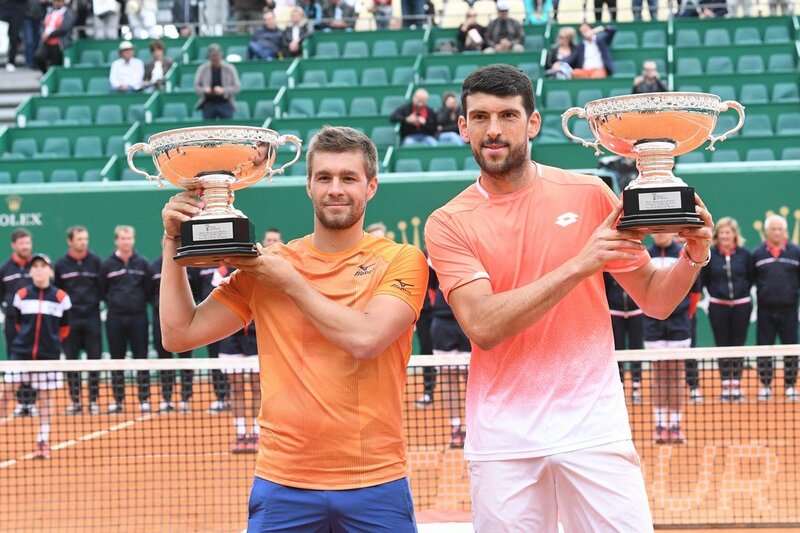 Seventh-seeded Nikola Mektic and Franko Skugor from Croatia fended off one championship point to beat Robin Haase and Wesley Koohlof from the Netherlands 6-7 (3-7) 7-6 (7-3) 11-9 in the doubles final of the Monte-Carlo Rolex Masters. Mektic and Skugor won 76 percent of their first serve points to win their maiden title as a team. Mektic and Skugor converted three of their 12 break points and saved one of the four chances they faced. The Croatian players broke serve in the second game to open up a 3-0 lead. Haase and Koolhof won the next three games to draw level to 3-3. Haase and Koolhof fended off three consecutive set points at 5-6 15-40 before sealing the tie-break of the opening set. Mektic and Skugor earned an early break in the opening game of the second set, but Haase and Koolhof broke straight back in the next game. Koolhof hit a forehand winner down the line to break for 5-3, but they were not able to serve out for the match. Mektic and Skugor broke straight back to draw level to 5-5 forcing the second set to the tie-break. Mektic and Skugor cruised through to a 6-0 lead in the tie-break to clinch the second-set 7-3 on their third set point. Mektic and Skugor saved a match point at 8-9 before winning three consecutive points to claim the title 11-9 on their own first championship point. 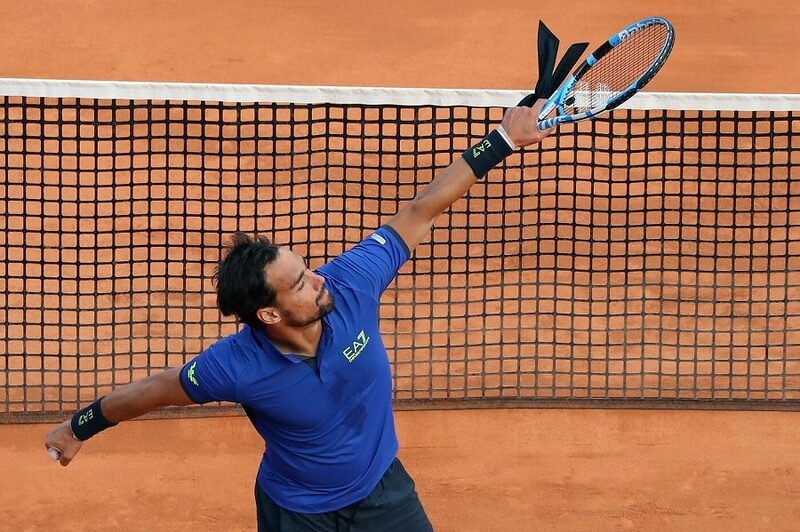 Mektic has clinched his third doubles title in the past year after Madrid 2018 with Alexander Peja and Indian Wells with Horacio Zeballos in 2019. Skugor has won his second title in two consecutive weeks after his triumph alongside Austria’s Jurgen Melzer in Marrakesh.